The Opera Garnier is distinguished by the beauty of its decor. Boasting a ceiling fresco by the Russian-French modernist artist Marc Chagall, extraordinary chandeliers and breathtaking architecture, this building is both baroque and eclectic. But the opulence of the Opéra Garnier hides some intriguing and sizeable areas backstage, where all the behind-the-scenes activities take place. Previously accessible only to performers, technicians and the occasional privileged guest, these intriguing locations are now open to the public. Visit the secret spaces where artists and technicians work in the shadows and learn their secrets. Guided tours take place every day from 10:00 to 16:30, except during afternoon performances and on days when the theatre is closed. 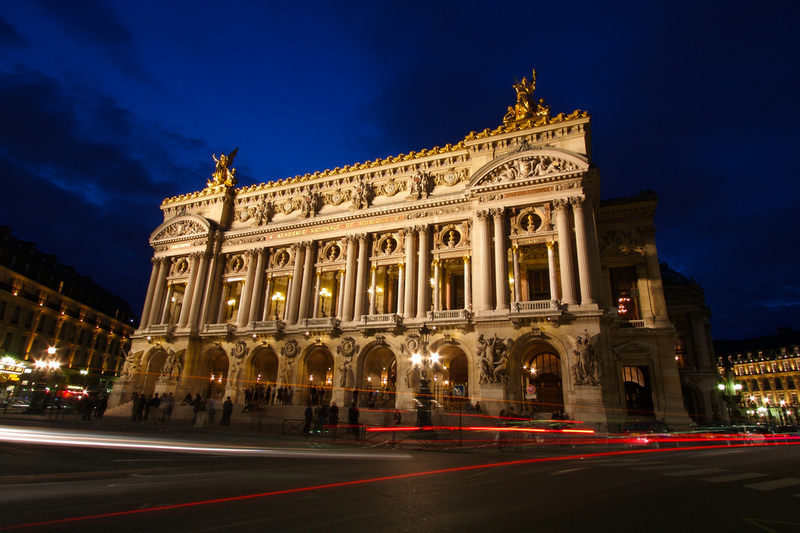 The schedule of ballets, operas, recitals and performances at the Opera Garnier is always delightfully diverse, and the current season keeps up this fine tradition. From March 17th to April 11th, 2018, you can attend Bluebeard’s Castle, a one-act opera by Béla Bartok, orchestrated by Francis Poulenc. If you prefer ballet, John Cranko's version of Tchaikovsky’s Eugene Onegin can be enjoyed until March 7th. If you’re not visiting Paris until later in the month, don’t worry. You will still be able to attend Christoph Willibald Gluck's Orpheus and Eurydice from March 24th to April 6th, 2018. Finally, don’t miss the centenary performance of Stravinsky’s The Soldier’s Tale, which will take place only on April 1st, 2018, at 12:00.